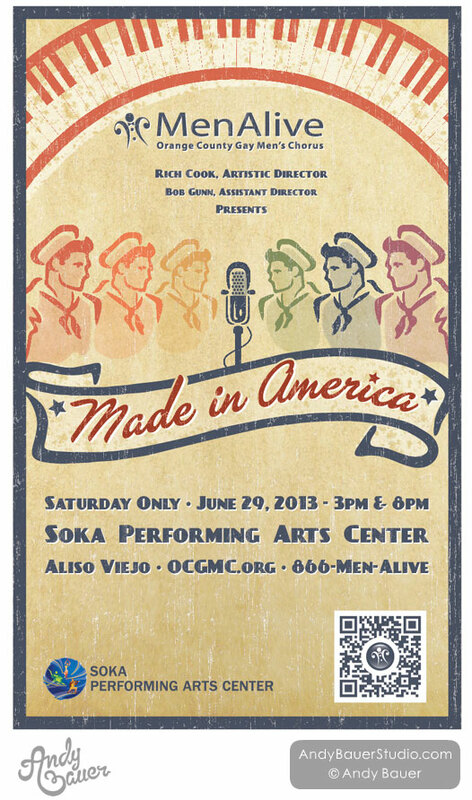 I did the illustrations for the MenAlive show poster, “Made in America”. 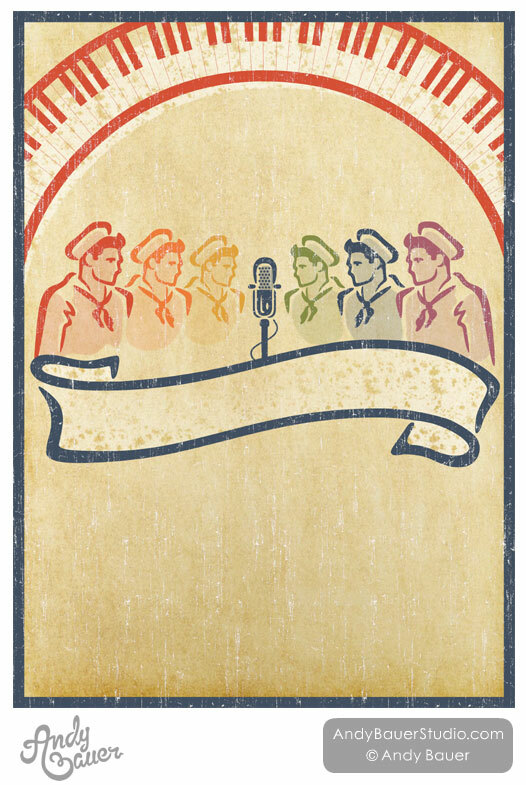 MenAlive is the Orange County Gay Men’s Chorus in California. 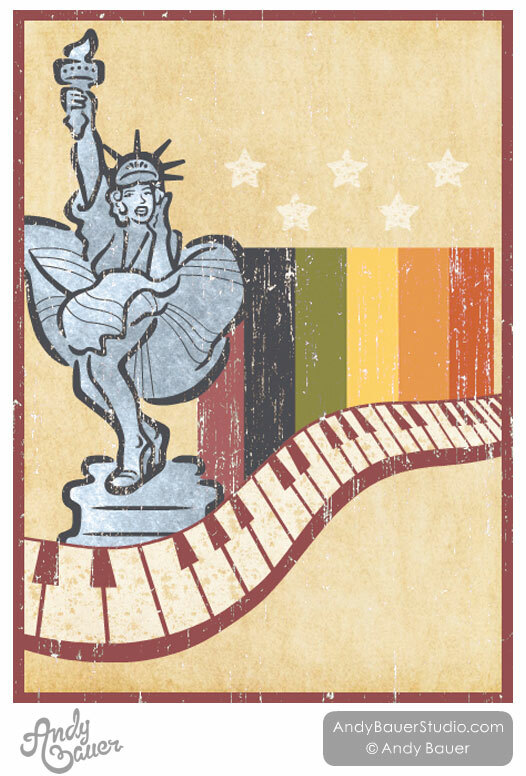 Art Direction by Dean McCleskey & Ray Cruz. Text layout & design by Ray Cruz. 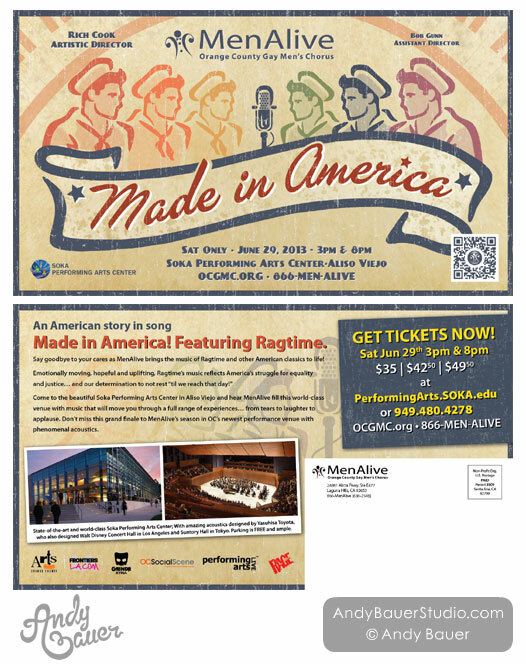 I developed six concepts based on the vintage, ragtime theme of “Made in America”. They narrowed it down to two they like and I fleshed out those concepts. Here is the final poster and postcard.